The Watertown Reds began play in the summer of 1998 in Watertown, MA. 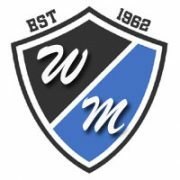 They were founded and created by Player/Manager Joe Chiodo, along with the help of local Watertown businesses, during the winter of 1997-1998. The Reds were first called by their original sponsor, Sterling Hager, before truly establishing their Reds nickname and logo. The Reds play their home games at the friendly confines of historical Victory Field in Watertown, MA. “The Vic” was renovated to a multi-purpose facility in 2011. After playing their home games during the 2011 season at beautiful DeFelice Field on the campus of Bentley University the Reds returned to Watertown, and now call both, Victory Field and DeFelice Field, home during the season. The 2016 Reds are filled with local collegiate, ex-professional and top former college players throughout their roster. They’re all looking forward to another solid season of Reds baseball and a trip back to the playoffs while providing the local ICL fans some exciting baseball. The team looks to return to the playoffs in 2016 for the 7th consecutive season and 12th time in the franchise’s history, with one goal in mind and that being to take home the franchise’s first ICL title in the team’s history. Having been to the Finals twice (2006 and 2010), and the semi-finals in five other years, they’re looking to get back to the ICL Finals and make their 18th season in the Intercity League a memorable one. The Reds would like to give a hearty shout out to all their supporters and sponsors and thank them for their continued support. GO REDS! 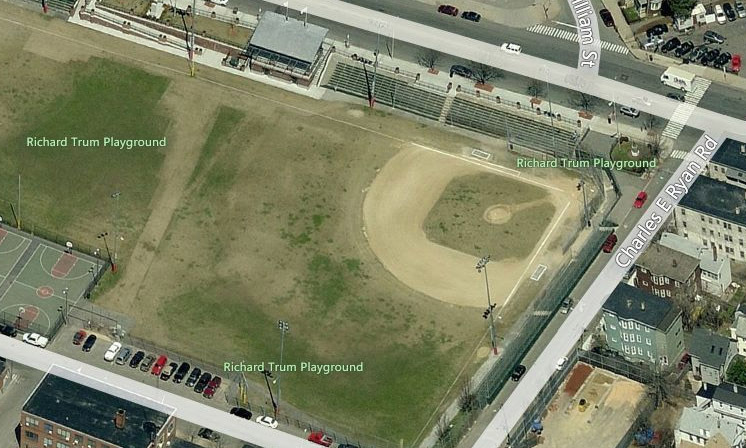 The Somerville Royals joined the Intercity League in 2016 and will be playing their home games at Trum Field. The ICL provides a competitive and local summer league that begins after Memorial day and continues until mid August. The Royals roster contains many former and current local collegiate players. For more information on playing for the team please contact us at iclroyalsbaseball@gmail.com. The Reading Bulldogs were born in 2009 out of a vision to restore the highest quality amateur baseball to the Town of Reading. The town has long been absent from the area’s premier amateur baseball loop, theIntercity League. Reading has been represented in the prestigious Intercity Baseball League by the Reading Bulldogs since their 2010 inaugural season. Reading has a long and rich history of baseball excellence in the Greater Boston area and has, over the years, had player participation in every high quality league, including the Intercity League. The “Reading Town Team” was the original entry in the ICL and enjoyed many playoff appearances during the 1960s, including five Finals appearances and a ICL championship in 1967. Bulldogs Founder and GM, John Halsey, has been a fixture on the Reading baseball scene for 20 years and brings 35 years of coaching and organizational expertise from around the country to the franchise. Halsey has committed significant resources to make the Reading Bulldogs a flagship franchise in the Intercity League and a first class organization, The Bulldogs have been fiercely competitive reaching the post season in each year of their existence including a string of four straight semi-final or “final three” appearances through the 2014 season. North Field, at Endicott College in Beverly, MA has been the Bulldogs home field since 2013. The state of the art lighted and turfed baseball venue has enabled the Bulldogs to play their home games at times more amenable to the league’s player demographic. For their first three years of existence, Morton Field, the venerable “flagship baseball field” in Reading, served as home for the Bulldogs. It is hoped that in the very near future that the Bulldogs can return to their roots in Reading to what is known now as Morton Field at Pete Moscariello Ballpark once planned lighting is installed at the pristine baseball venue. As the Bulldogs’ roster fills each season, the players are very excited as they anticipate their summer with the Bulldogs and experiencing high quality baseball on the baseball fields of Greater Boston and the North Shore. The team continues to interview some of the finest current and past collegiate players and seeks those with both a genuine love of the game and a very high level of competitive skill and spirit. After 45 uninterrupted years calling Playstead Park in Medford home, the Americans moved to brand new Morelli Field in Melrose in 2013. Looking to return to the new Morelli Field a team that would bring a top-notch and entertaining brand of baseball that the old Morelli Field hosted when it was the home of the Rams in the 1980’s and 1990’s, the City of Melrose chose the Americans to be that team. Following a transfer of ownership after the 2004 season, the Medford Mustang franchise, a fixture in the Intercity League for 35 years, was retired. In the Mustangs place arose the Medford Americans. The Americans played their inaugural ICL season during the summer of 2005. Players earning a place on the Americans roster are those who approach and play the game of baseball one way, the American way. Playing the game the American way means that a player is a winner. A winner who is an exceptional teammate, has fun playing the game, and, who, at all times, respects the game of baseball; running out every grounder to the pitcher and every pop-up, hustling at all times, and being unable to conceive of playing any other way. It means he is a team player who makes a full three month commitment to the Americans, shows up to games, shows up on time and practices like he plays. Further, an American ball player is expected to show the proper respect to umpires and opponents, as well as to fans in attendance at games, and to represent the Americans positively, both on and off the field. The Americans’ organization is committed to continuing a tradition of baseball excellence in the city of Melrose, Massachusetts. The Americans’ goal is to win championships and to field a team that year in and year out will continue to make a night watching Intercity League baseball being played on Morelli Field in Melrose, MA a can’t miss event for the many loyal fans who follow the team. The Americans are also committed to providing select players the opportunity to play top-notch amateur baseball during the summer, and challenging those players to improve their skills and baseball intelligence over the course of the Intercity League season. The owner and manager of the Americans is Kevin Burgoyne, a veteran of twenty-five years as a player in the league and manager of the Medford Intercity League franchise since 1994. Orazio Azzarello, who joined the team as a LHP/CF following his final high school game as captain of the 1995 Medford Mustangs and who continues in an active playing role as a left hander out of the bullpen, serves as the team’s pitching coach. The Lexington Blue Sox were founded in 1995 by owner and manager Rick DeAngelis in order to provide high caliber summer baseball for Lexington area fans to enjoy. There is no better way to spend a summer evening than to go out to Blue Sox field at the Center complex and watch the current collegians and former college and pro’s play at the highest level of amateur baseball. The Blue Sox have competed in the Intercity League playoffs in each of their 21 seasons with 11 championships. The Blue Sox provide a fan friendly environment in historic Lexington, Massachusetts only ten(10) miles West of Boston. Our fans actively support the Blue Sox and consist of multiple generations. Sons and daughters, mothers and fathers and grandparents all enjoy coming out to the ballpark. The Blue Sox have won eleven Intercity League championships, their first in 1998 by a 4 games to 1 margin in a best of 7 game series vs. The Anthony’s Athletics of Malden. Their second championship came in 2002 when they came back from an 0-2 deficit to win the final 3 games in a best of 5 championship series vs. The Gately Rams of Melrose. The final game in 2002 was an impressive 1-0 victory in which Wes Sparks (Southwestern Oklahoma St.) threw a 1 hitter to seal the championship. In 2004, the Lexington Blue Sox again captured the Intercity League title. The Blue Sox beat the Lowell Braves by dropping game one of the championship and then winning 3 straight games. Jim Clarke went the distance in game 4 to give the Blue Sox the win. In 2005 the Lexington Blue Sox captured their first back-to-back title with a 3 games to 1 win over Cassell Club! In 2013, the Blue Sox were back on the winners podium with a tough 5 game series vs. the Andre Chiefs. In 2014, the Blue Sox once again reached the finals but lost to Andre. The goals of the Blue Sox are simple: Winning championships; developing players, and building lifelong friendships among their players, fans, and supporters. Once a player plays for the Blue Sox, he becomes a part of the organization. The Blue Sox formula for success is straightforward. We combine top notch current college players with experienced former college and professional players. The collegians learn how to play the game from the veterans and the veterans are energized and motivated by the successes of the college players. “We provide top notch baseball for our fans and we don’t consider any season a success unless we are in contention for the title”, says Blue Sox manager Rick DeAngelis. “As good as the college players are when they arrive in Lexington at the beginning of each summer, they all leave as better players with improved skills and as better young men. There is always a place for a quality baseball player on the Blue Sox roster. The Chiefs’ name and outstanding baseball tradition have been synonymous since 1957. Carrying the Hosmer Chiefs name from 1958 to 1984 and the Andre Chiefs banner from 1989 to the present, the Chiefs have maintained a consistent atmosphere of professionalism and winning. The Championships – Through the years the Chiefs have brought 19 baseball championships to the City of Medford, Massachusetts, including the 2012 and 2014 crowns. They have won 24 Suburban Twilight League or Intercity League pennants. Remarkably, the Chiefs have recorded a winning record and have made the playoffs in 50 of their 52 summers of playing baseball. The Franchise– The Chiefs franchise carries a winning percentage of almost .700 over the 2,800 games they have played over seven decades. The franchise has won 19 League Championships. Thirteen of those came when they were known as the Hosmer Chiefs and the last six were won under the name of the Andre Chiefs. In 1966, the Chiefs were named as the top semi-professional team in America. Since 1957, they have had only five managers, Ernie Ardolino (1957-1960), Lenny Dempsey (1961-1967), Joe O’Donnell (1968-1981), Bob DeFelice (1982-1984) and current manager Chuck Andre 1989-present. The franchise was named as the “Team of the Decade” for the 1960’s, 1970’s & 1990’s. Chuck Andre-Manager (Boston College) completed his 27th year at the helm in 2017. Andre, who has a career managerial record of 645-348-69, has piloted the club to 25 playoff appearances, 10 regular season pennants, and six Intercity League Championships. He won his 600th career game in June of 2016. A former right-handed pitcher, Andre played for the Chiefs in the 1970’s & 1980’s. He has missed the ICL postseason just twice as a player or manager in 33 Intercity League seasons. He was inducted into the Medford High School Hall of Fame in 1995. John Veneziano- Coach (Westfield State) Veneziano joined the Chiefs Staff for the 2012 season. A former Westfield State standout outfielder, Veneziano played for the Chiefs and was an outfielder on many Chiefs championship teams of the late 1970’s and 1980’s. Anthony Durkee- Coach (Salem State). Coach Durkee returned to the Chiefs dugout in 2012 after spending a few seasons in Florida. He first came aboard with the Chiefs as a player in 2006. Former standout at Medford High, graduating in 2004. Nick Leva- Coach (Southern New Hampshire) Chiefs longtime catcher joined the Coaching Staff during the 2017 season. Started his Chiefs career in 2007 and has been part of two championship teams. The Chiefs organization suffered a major loss in April of 2017 with the passing of longtime Bench Coach Steve Calabresi. The Tradition– The Chiefs baseball tradition runs deep, as sons have followed their fathers and grandfathers in wearing the uniform. Over the years, playing for the Chiefs became a sandlot baseball fantasy place where batboys became players, ball boys became major league pitchers, and many became baseball legends. As former manager Joe O’Donnell (1968-1981) said at a Chiefs reunion banquet, “once a Chief, always a Chief.” Still today, Chiefs’ players from decades gone by return to watch their team play. There always seems to be a former Chief or two in the crowd. Alumni– Through the years, Chiefs mystique, championships, and professionalism, has remained constant. Almost 600 semi-professional ballplayers at one time or another have worn the Chiefs uniform. It is estimated that over 120 of those players at some point signed a professional baseball contract. Two former Chiefs have even appeared in the World Series, Mike Pagliarulo with the Minnesota Twins in 1991 and Kevin McGlinchy with the Atlanta Braves in 1999. Pagliarulo returned to Chiefs as a member of the 2016 Coaching Staff before being named Hitting Coach of the Miami Marlins prior to the 2017 season. Maplewood Park at Malden Catholic Located in Malden, Massachusetts– The Chiefs play their night games on the artificial surface of Maplewood Park that is located on the campus of Malden Catholic. 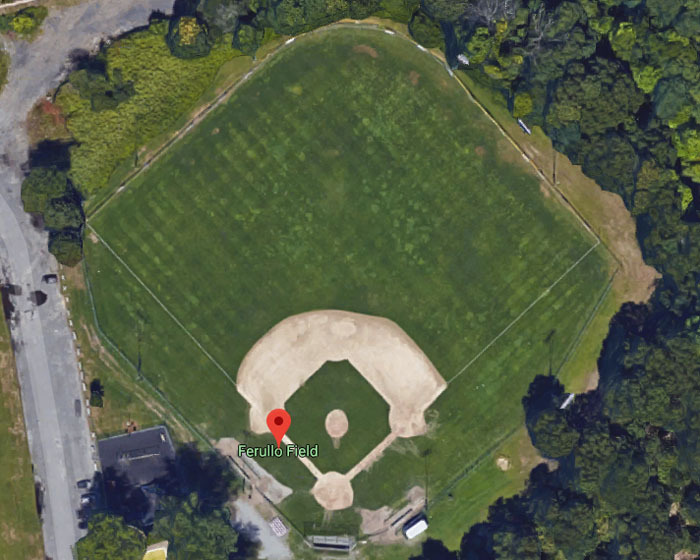 Pine Banks Park, Melrose, Massachusetts– The Chiefs also play some games at Pine Banks which is located on the Melrose-Malden line.